Designed by the company MAN, the Panzer II fulfilled a light tank requirement for the German Army. The first 25 pre-production machines were built in 1935, the basic design having a rear engine and front drive. During the initial stages the tank underwent a number of minor changes, such as turret modifications and work on the front superstructure. The main production versions were the Ausf B and C models, which had an angled nose, and splash plates on the top and bottom of the mantlet. The Ausf D and E models were produced by Daimler-Benz in 1939, and incorporated a Famo/Christie-type suspension to give a top speed of 56km/h (35mph). However, cross-country performance was poor and these particular models were withdrawn from service early. The Ausf F, G and J models were improved versions of the Ausf C, which were up-armoured to give protection from heavier antitank guns. This meant 35mm (1.37in) of frontal armour and 20mm (.78in) of side armour. 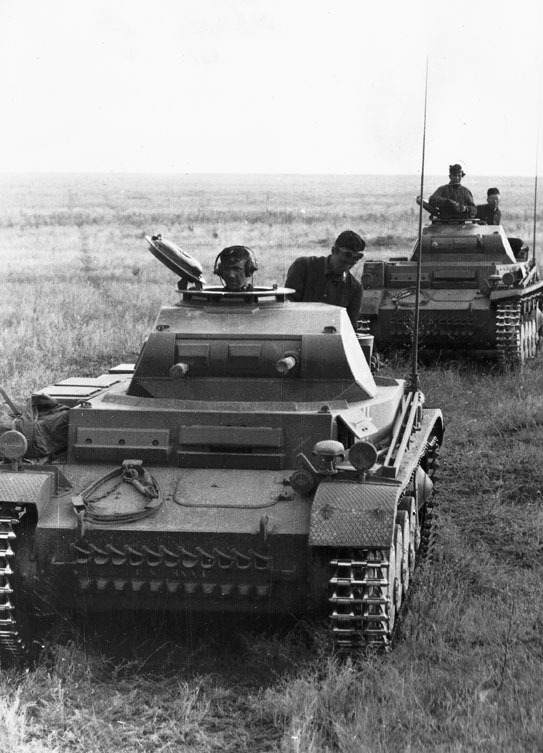 The Ausf A-C models were widely used in the early period of World War II, especially in Poland in 1939 and France in 1940. At the beginning of the attack in the West in May 1940, for example, there were 965 Panzer IIs in German service - forming the backbone of the 2500 German tanks used in the campaign.